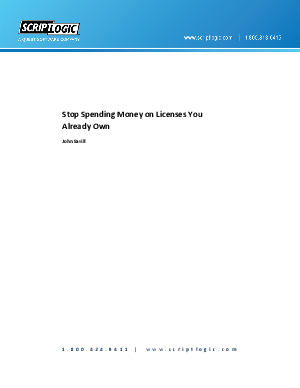 Wasting money buying software that you already own is a huge problem but there is a mirror problem: using software you don't own. Most organizations have problems auditing and controlling software use and can find themselves in a tricky situation when it comes time to "true up" with software vendors, resulting in costly license bills or fines. Both of these problems have the same cause: a lack of knowledge about the software installed, the software used and the software, or more specifically licenses, actually owned. These are not rare circumstances but rather the normal way of doing business for most companies because the initial processes required to reign in software and license management seem intimidating. This white paper looks at what really needs to be done and how to enable your organization to be license efficient.